» How To Know GHMC Property Tax Identification Number by House Number? High Rise of Residential Properties in Hyderabad is one of the key components in escalating real estate boom in Hyderabad. Buyers would take advantage of the maximum properties from the list column of our Real Estate Portal with 882 Residential properties for sale in Hyderabad. Property Adviser has assiduously given the categorization of each Residential Property in Hyderabad under the listings column. Till now 22-04-2019 there are 62503 unit sales with 394 ready to move and 488 under construction Properties in Hyderabad. Apartments in Hyderabad has total 775 Apartment Projects with sizes of Studio,1BHK, 2BHK, 3BHK, 4BHK, 5BHK+ are available. The Cost of these Apartments ranges between 12.7 Lakhs to 7.83 Crores at 2400 to 13490 price per Sft. There are total 21 Independent House projects in Hyderabad with 693 units available for sale in Hyderabad. Sales of Independent Houses in Hyderabad are categorized with different subtypes like the Ground floor, G+1, G+2, G+3, G+4, and G+5. The cost of these residential houses in Hyderabad Ranges between 25.0 Lakhs to 1.92 Crores and above. There are total 84 villa projects in Hyderabad with 7196 units available for sale in Hyderabad. Sales of villas in Hyderabad are categorized with different subtypes 3BHK, 4BHK, and 5BHK+. The cost of these Villas in Hyderabad ranges between 51.3 Lakhs to 12.00 Crores and above. Head-on to the listing column of our website. 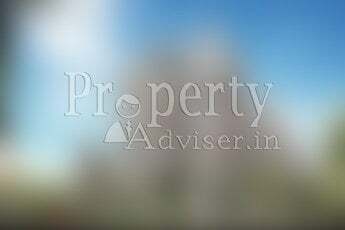 Property Adviser covers all the details of Residential Properties in Hyderabad areas like Gachibowli, Madhapur, Kondapur, Manikonda, Nagole, Uppal, Kompally, Nizampet, Pragathi Nagar, Ameenpur, Chanda Nagar, Bandlaguda, Kukatpally, LB Nagar, Attapur, Adibatla, Miyapur, KPHB and many more areas of Hyderabad. Our motto is to furnish information on every project in Hyderabad to save buyers time, money and energy. Now, the buyers could get easy access to view the Hyderabad property information online with just a click option. As quoted, “tomorrow never comes”, grab the opportunity to own the Best Residential Property in Hyderabad quickly at a fair price. (Or) Send Email through your Registered Email ID of Property Adviser as “Verify Email�? to [email protected]. We will complete Email Verification Process in next 24 to 48 Hours.